If you are in an emergency situation, dial 911 from anywhere for immediate assistance. Reporting to law enforcement is an option available to you if you have experienced any crime, including but not limited to, sexual assault, dating violence, domestic violence and stalking. Reporting to law enforcement may allow for a criminal investigation to be conducted and criminal charges to follow. If you call 911 on campus, the University’s Department of Public Safety (SIU Police) will respond. For non-emergency situations, call local law enforcement or DPS’s non-emergency number, 618-453-3771 to speak with an officer. All reports will be submitted to the appropriate University department for further follow up if necessary. If you are not ready to file a report with law enforcement, you can still call and speak with an officer about what would happen if you file a report and the protective orders that are available. What happens when i report to law enforcement? If police are called and you are not ready to file a report for criminal charges, police can initiate an informational report and explain what happens when a criminal report is completed. You can meet with an officer at the police department or a place of your choosing. A support person of your choice can come with you to make a police report. Police will take an initial statement and begin follow up interviews with all parties involved: victims, witness, suspects, and others who may have been identified. Police will collect any evidence that may be available, Evidence is not always available in all cases. Police will review video, if available. Police will complete a written report that will be submitted to the State's Attorney's Office. Call 911 for emergency situations or 618-453-3771 for non-emergency situations. 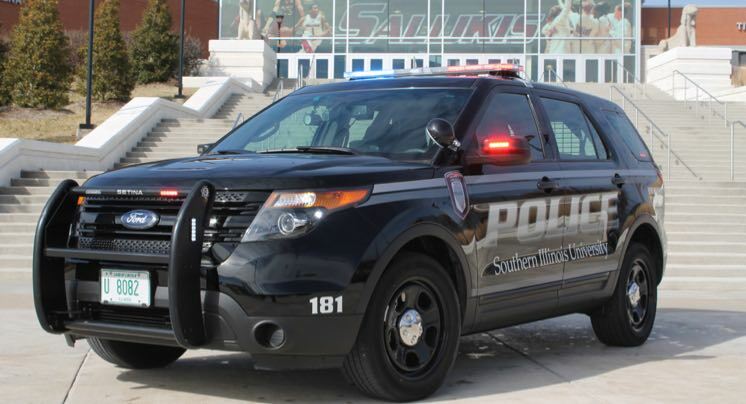 Located at Trueblood Hall, 1175 South Washington Street, Carbondale, IL 62901.
visit www.police.siu.edu for more information about the Police Department. Call 911 for emergency situations or 618-457-3200 for non-emergency situations. Located at 501 South Washington Street, Carbondale, IL 62901.
visit www.carbondalepolice.com for more information about the Police Department. Call 911 for emergency situations or 618-684-2177 for non-emergency situations. Located at 1001 Mulberry Street, Murphysboro, IL 62966.
visit www.jacksoncounty-il.gov/ for more information about the Police Department. Call 911 for emergency situations or 618-985-4853 for non-emergency situations. visit www.visitcarterville.com/ for more information about the Police Department. Call 911 for emergency situations or 618-942-4132 for non-emergency situations. Located at 300 North Park Avenue, Herrin, IL 62948.
visit www.herrinpolice.com or more information about the Police Department. Call 911 for emergency situations or 618-993-2124 for non-emergency situations. Located at 1001 West Deyoung Street, Marion, IL 62959.
visit www.marionpolicedept.com for more information about the Police Department. Call 911 for emergency situations or 618-997-6541 for non-emergency situations. Located at 404 North Van Buren Street, Marion, IL 62959.
visit www.williamsoncountyil.gov for more information about the Police Department.